﻿Later concepts, such as the Viper prototype and the swoopy Chrysler Atlantic showcase Chrysler’s more recent design direction. ﻿﻿﻿﻿In between are the production cars. And they have some beauties. 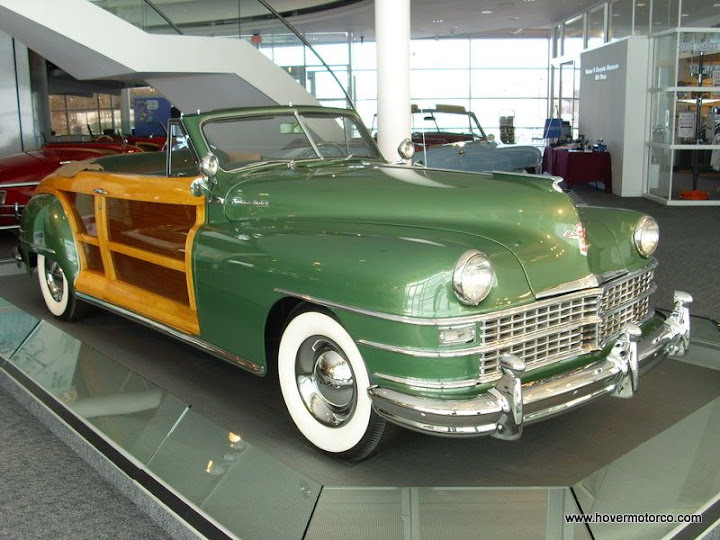 Everything from the first Chrysler in 1924, through the wood-bodied Town & Countries of the 1940s, the 300 letter cars of the ‘50s and ‘60s, and the K-Car-based Reliants and minivans of the 1980s are all represented in this meticulous display. In the basement is a strong contingent of muscle cars and racecars. Whether it be a Kiekhafer NASCAR Chrysler from the ‘50s, or a Color Me Gone Dodge drag car from the ‘60s, the Chrysler museum has something to scratch the itch of every MOPAR fan. Since Chrysler acquired AMC’s brand heritage when they took on Jeep and Eagle, there are also a few products from that bloodline worth noting. Military Jeeps and Jeepsters, as well as less obvious cars like the Hudson Hornet are sprinkled around the display area. 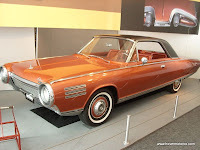 Wall displays that show a Chrysler timeline history also include the history of AMC. 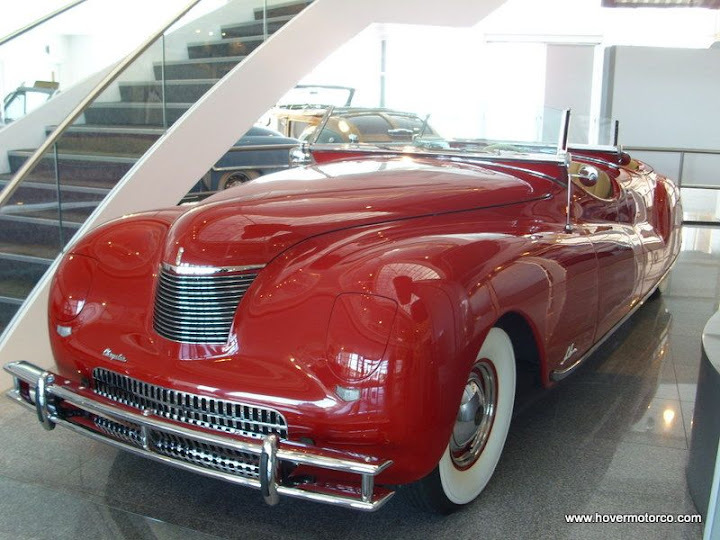 Fans of these orphan cars will enjoy the Walter P. Chrysler Museum as well. In addition to the cars, the museum has several interactive displays. Push a button, and Walter P. himself will tell you his life’s story. How much easier is power steering to use than manual steering? Take a whirl on the wheels to find out. Why did the Airflow ride so nice? Pull the knob, and you’ll learn that in graphic detail. There is also a movie theatre that continuously plays films about Chrysler’s beginnings, their involvement with racing and car culture, and their current technologies. I took the time to watch all the films, and I believe they were worth the time. One of my favorite parts about this experience was the group of retired Chrysler execs on staff as tour guides. You could tell these guys were passionate about the displays and history of Chrysler, because they lived it. When they weren’t helping anybody, it was easy to catch them closely studying the cars and displays. They loved it. If you want to visit the Walter P. Chrysler museum, get your plane ticket from Kansas City to Detroit, then take a taxi to One Chrysler Drive, on the Chrysler Group campus, in Auburn Hills, Mich. For more information, visit: http://chryslerheritage.com/homepage.do. The following slideshow contains many never before seen pictures from my visit to the Walter P. Chrysler Museum in Auburn Hills, Mich. earlier this year. Portions of this story originally posted on Examiner.com.